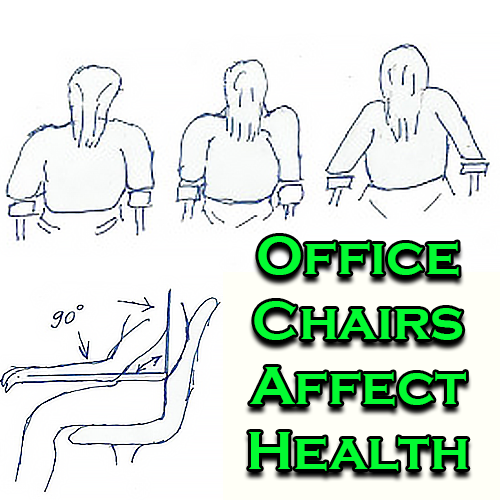 How office chairs affect your health by altering blood flow. Your chair can kill you with blood clots. Your chair can cause blood clots in your legs and also varicose veins. 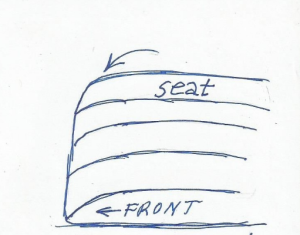 If the seat is too high it puts pressure on the underside of your thighs and restrains the blood from traveling freely. These clots can travel to the heart or even to the brain and cause a stroke. 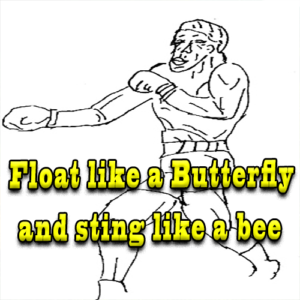 Your body is designed so that your moving legs help to pump the blood back up to your heart. This helps keep the blood from “pooling” in your legs. The airline industry knows this and they advise you to occasionally get up and walk around. 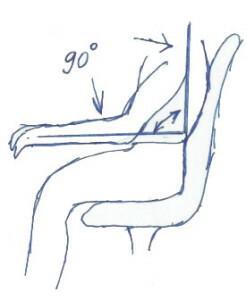 An office chair seat should have a “waterfall front edge” that curves toward the floor and does not interfere with the circulation of blood at the bottom-front of your thighs. This will help prevent blood pooling and varicose veins. It also should end about 2-3 inches behind your calves. The best office chairs according to OSHA are ones that are not too high or wide. The picture below shows 3 different chair arm heights and widths. 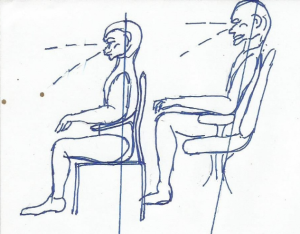 The first one is a proper relaxed posture. The second the arms are too high and jams the arm bone into the shoulder socket. The third picture depicts an arm rest too wide. 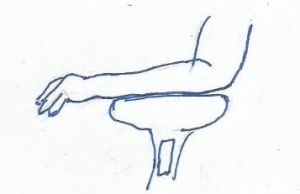 A wide armrest will cause fatigue and discomfort. 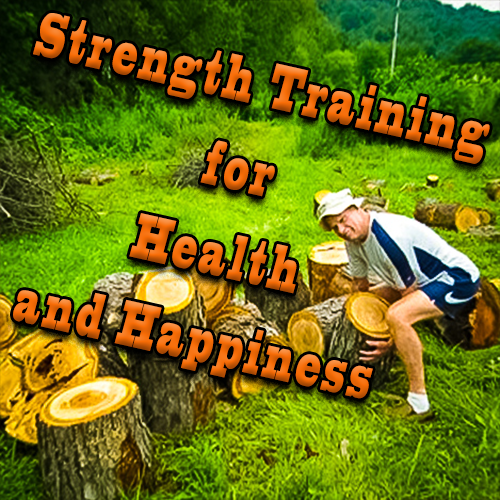 I recently thought to myself “Darned, am I getting arthritis and or rheumatism in my shoulder? I am 70-years old and have never had an ache or pain of this type. After a sleepless night I sat in my office chair and realized that the chair arms were too high. The arms had my elbows jacked up a little bit. That was pushing my upper arms into the shoulder sockets. The constant small pressure was irritating the shoulder ball-and-socket joint.I then realized that the chair was too big for me. I hadn’t known that chairs come in different sizes—one size of chair does not fit everyone. When I am working, my elbows should be close to my sides and my arms supported by chair arms or the desk. This is to keep my arms supported and wrists to relax. I can now really understand how office chairs affect your health. The task that you are working on should be at, or just below, the horizon. Your chair can cause back pain, shoulder and neck pain, wrist problems, arm problems, headaches, and a host of other ailments. Also, keep the workload positioned so that your head is permitted to be balanced on its central anchor that is called the Atlas Joint. As you work your eyes should be looking toward the horizon. If you are doing computer work or just doing detail work, do not sit hunched over into an awkward position that cramps your neck or shoulders. When you are home or in a bar the television should be as close to the horizon as possible. The old televisions that sat on the floor were about right with a sitting person. The new wall mounted flat screens are causing a new generation of problems especially headaches and neck and shoulder problems. Do not mount these too high. 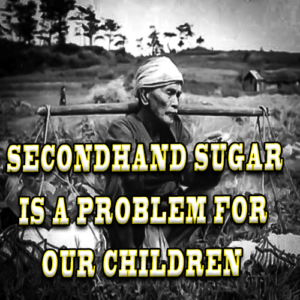 It will cause headaches, neck problems, back injuries and headaches. Each worker should be given a bell that rings each hour if necessary, it should shock a worker who does not obey. A program like this would cause people to be more productive, be healthier and make fewer mistakes. This will also make that person and the fellow workers into more happier fellow office worker.